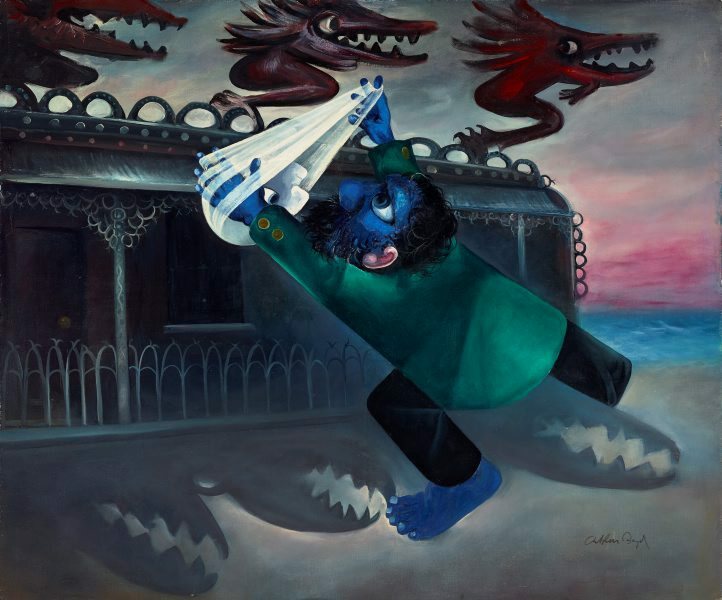 Arthur Boyd was a painter, potter and printmaker from a well-known family of artists. Boyd painted lyrical and emotive allegories on universal themes of love, loss and shame, often located in the Australian bush. These artworks draw on a wealth of literary and mythological sources as well as intensely personal and often ambiguous symbolism. Signed l.r., grey oil "Arthur Boyd". Not dated.